Sauvignon Blanc: Blooms in the glass ‘til frost! With the seasonal warmth of spring and summer (eventually) on the horizon, many of you will look to lighter and brighter wines to fill your sipping needs. Enter Sauvignon Blanc, a popular French white wine grape variety that typically produces dry, refreshing, lively and fruity wines with little to no oak influence. While I consume Sauvignon Blanc year-around, from mid-spring to late summer my overall consumption of these racy and refreshing wines starts to climb. With the seasonal warmth ahead, whether the day calls for a backyard gathering, picnic, or just to beat the heat, Sauvignon Blanc is the perfect pick – it has an affinity for food to boot! Sauvignon Blanc is one of the most distinctive wines in the world, offering inviting and assertive aromas with mouth-watering acidity and tell-tale characteristics of grapefruit, gooseberry, melon, fresh cut grass, herbs, kiwi fruit, cat pee (typically found in Loire Valley wines), and greenness (a smidgen is desirable). 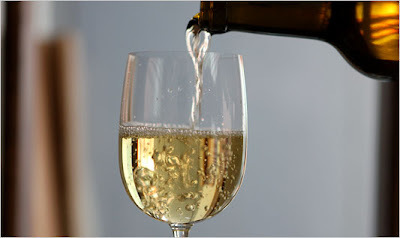 Good Sauvignon Blanc wines dance about the palate with ease, exuding a youthful liveliness of energy and freshness. Another popular draw, to what many consider sunshine in the glass, is price, or better yet, QPR (quality to price ratio). Crisp and lively examples of Sauvignon Blanc wines can be found at great price points, usually fetching anywhere from $9 to $15. Some of the best examples of Sauvignon Blanc can be found in its homeland of France. Try not to be the drinker who strays from a bottle of Sauvignon Blanc because the varietal name is not listed on the bottle; you will be missing out on a glass full of goodness. 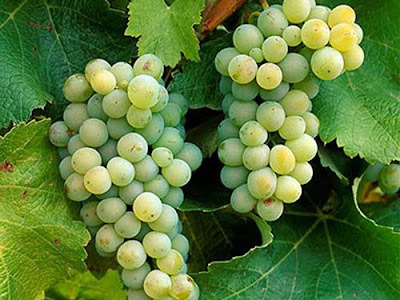 Sauvignon Blanc thrives as the great white wine of Bordeaux, where it is usually blended with Sémillon and Muscadelle to create dry wines of grace and subtlety with good acidity and fresh fruit flavors. White Bordeaux is sometimes barrel aged and styles can range from crisp and clean to round and lush, so be sure to pay attention to the prose and poetry on the label when selecting a wine. Look or ask for White Bordeaux in a wine shop near you and enjoy; I am sure you will find something to your liking. Two other popular wine-producing areas can be found in France’s Loire Valley, where the popular villages of Sancerre and Pouilly Fumé produce wines made from 100% Sauvignon Blanc. These wines are usually crisp with a good amount of acidity and citrus, gooseberry, grass, and a sometimes flinty and smoky characteristic. A classic aroma reference for some of the Loire Valley wines is “cat pee on a gooseberry bush”. While this sounds harsh, a smidgen of it is totally desirable – trust Dezel on that one and try it for yourself, friends! Shellfish and Sauvignon Blanc - Yummy! A relative newcomer, New Zealand has emerged as a prime area for Sauvignon Blanc wines, and what they have accomplished in a short time is the envy of just about every new world wine-producing region looking for the global spotlight. With the sought-after Cloudy Bay 1985 vintage, New Zealand burst on to the international wine scene and has since become the face of Sauvignon Blanc to many seekers of the wine. New Zealand makes Sauvignon Blanc in a very distinctive style, almost in your face, over the top, but it is to the liking of many new world palates. Just about every characteristic of the grape variety is heightened, but it works and makes for a brightly-fruited and assertive wine with brisk acidity in the glass, no doubt. The Marlborough region on South Island is the most important region for Sauvignon Blanc in New Zealand, and makes the style of Sauvignon Blanc that many producers, California included, are trying to make their wines in today. Simply stated, New Zealand changed the game: they managed to take an established big six noble grape variety that had roots in France and was popular in California and make a style that would influence the rest of the wine world to follow and consumers to adore. Just about everywhere in the world where Sauvignon Blanc is popular you will find New Zealand on the store shelf. Location means a lot in New Zealand, so if you find an example on North Island from Hawke’s Bay, it will likely be slightly fuller and richer with a little less acidity as the region is much warmer and known more for its Chardonnay and red wines (Syrah++). The quality to price ratio ($15 or less) of New Zealand Sauvignon Blanc wines is very good and they should be enjoyed in their youth when they are vibrant and fresh. Other good places to catch a nice Sauvignon Blanc is California, South Africa, Chile, Washington State, and, oh yeah, right here in our backyard, Virginia. It really was not until I visited Linden Vineyards a few years back that I tasted the potential in Virginia Sauvignon Blanc. That example was an outstanding local flavor! While there is no distinct local style and quality varies, there are some nice examples to be found. I just finished up a Veritas Vineyards Reserve 2008 vintage that is clean, crisp, and tart, and sort of a cross between New World (Chilean-like) and the Loire Valley (hint of cat pee and herbaciousness). A few other local producers to check out for Sauvignon Blanc are Doukénie Winery, Pearmund Cellars, and Naked Mountain Vineyards. Sauvignon Blanc is a refreshing everyday wine at a good price to get to know and enjoy all spring and summer long. 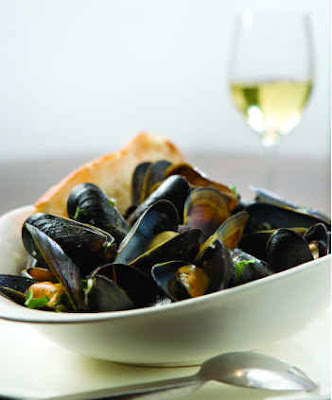 It is great on its own and pairs well with a wide range of foods, especially shellfish. If you find something you really like drop me an email and let me know what it is so I can try it out too. Stay tuned friends ...more to come! 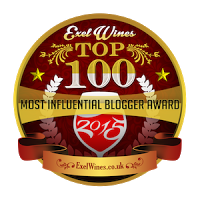 Click Here to vote VA Vine Spot as your favorite wine blog - You can vote 1x per day! Dezel's Virginia Vine Spot © 2006-2009. All rights reserved. Virginia Wine: A Big Hit in London!